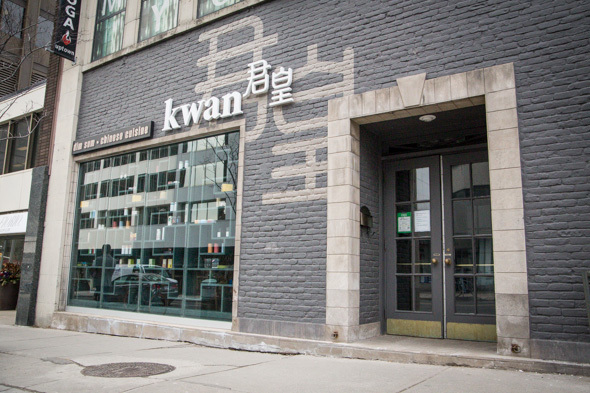 Kwan is a 120-seat dim sum parlour Yonge and St. Clair that takes over the former home of the French restaurant Didier . 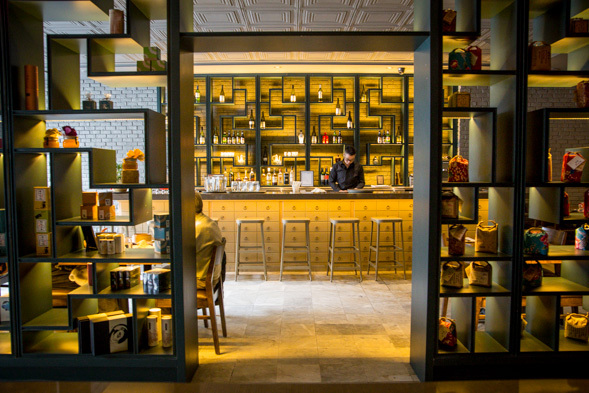 The space inherits marble floors and wood finishings but melds the existing interior with newly added Asian-influences. 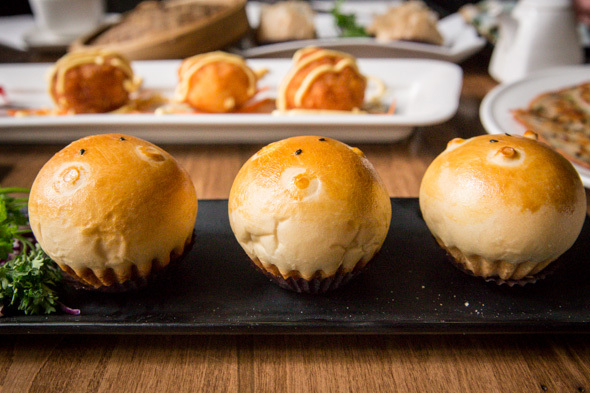 Don't expect rolling cart service, as veteran restaurateur Debbie Lui (formerly of Markham's Royal Tea House) stresses that crafting each dumpling and bun to order yields superior taste and freshness. The midday menu is vast and varied. Steamed options like shrimp dumplings ($5) are listed alongside fried goodies like taro root balls ($4) and rice flour noodle wraps stuffed with fried tofu with snow pea shoots ($5). 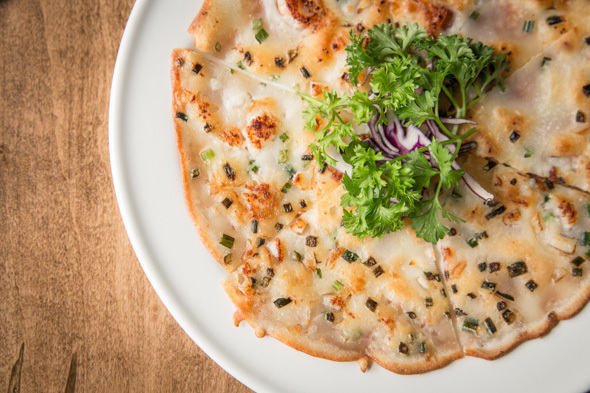 Up next, a deliciously golden fried turnip pancake ($6) specked with salty dried shrimp, preserved pork and fresh chives. From here on, I start to lose track as a dizzying number of plates makes its way to the table. There's a plate of fried mushrooms and asparagus coated in a peppery seasoned batter, then, puffy BBQ pork-filled buns and bumble bee-shaped almond desserts. Unless otherwise indicated, prices are marked with S, M, L, XL and SP (special) and top out at $8 per order. 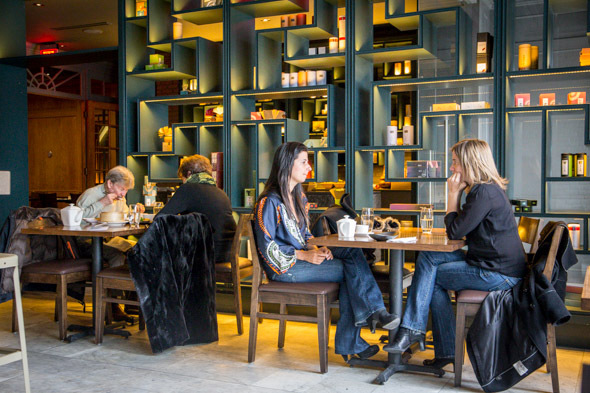 Dim sum service is complete by 4pm at which point the dinner menu comes into effect to offer apps, soups and family-style seafoods, rice dishes and noodles. 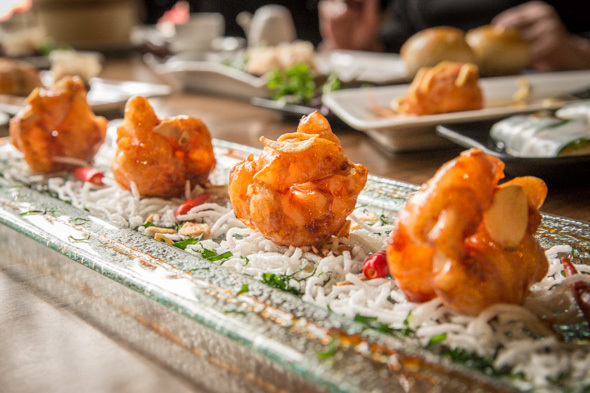 A five course set menu for $30 includes truffle spring rolls and jumbo chili garlic prawns. I stick to jasmine tea, though there's also an eclectic wine list ($7.50-$12 by the glass) and selection of beers by the bottle ($5.75-$6.50). 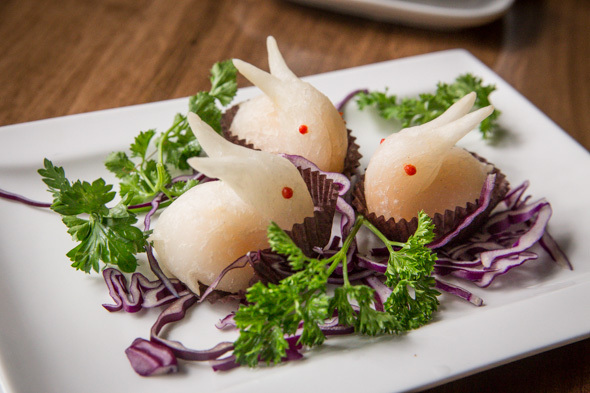 Kwan is open on weekdays from 11:30am to 10pm, and on weekends dim sum starts half an hour earlier. Take-away orders are welcome as are special seafood requests made in advance.